In this Linux Guide, we will walk you through the necessary steps that can enable you determine the presence or absence of bad sectors on your Linux disk drive or flash memory using certain disk scanning utilities. It is important to note that the presence of bad blocks should alert you to start thinking of getting a new disk drive or simply mark the bad blocks as unusable. A bad sectors continue to accumulate, they can undesirably or destructively affect your disk drive or flash memory capacity or even lead to a possible hardware failure. In the command above, badblocks is scanning device /dev/sda10 (remember to specify your actual device) with the -v enabling it to display details of the operation. 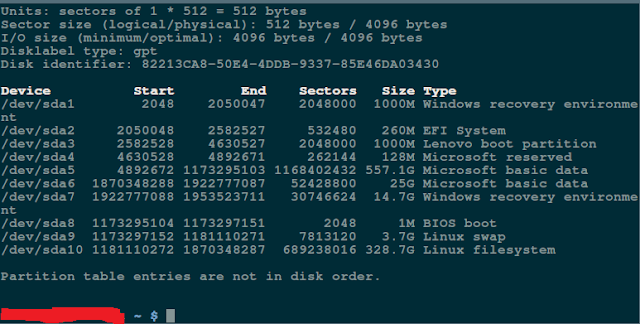 In addition, the results of the operation are stored in the file badsectors.txt by means of output redirection. In case you discover any bad sectors on your disk drive, unmount the disk and instruct the operating system not to write to the reported sectors as follows. You will need to employ e2fsck (for ext2/ext3/ext4 file systems) or fsck command with the badsectors.txt file and the device file as in the command below. The -l option tells the command to add the block numbers listed in the file specified by filename (badsectors.txt) to the list of bad blocks. This method is more reliable and efficient for modern disks (ATA/SATA and SCSI/SAS hard drives and solid-state drives) which ship in with a S.M.A.R.T (Self-Monitoring, Analysis and Reporting Technology) system that helps detect, report and possibly log their health status, so that you can figure out any impending hardware failures. Now execute the smartctrl command and name your specific device as an argument as in the following command, the flag -H or --health is included to display the SMART overall health self-assessment test result. The result above indicates that your hard disk is healthy, and may not experience hardware failures any soon. For an overview of disk information, use the -a or --all option to print out all SMART information concerning a disk and -x or --xall which displays all SMART and non-SMART information about a disk. In this Linux Guide, we covered a very important topic concerning disk drive health diagnostics, you can write us via the comment section below to share your thoughts or ask any questions and we will answer your query as quick as possible.